The Price of Football: What does it cost to follow an Irish League team? 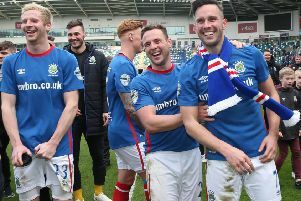 The annual BBC Price of Football Study has for the first time looked at the cost of following top flight Irish league Football. The average cost of the cheapest match-day ticket in the English Premier League has passed £30 for the first time, the BBC’s Price of Football has found. Eleven clubs in the top flight put the price of this ticket up, contributing to a 6.54% year-on-year rise. It now averages £30.68, up from £28.80. The cost of the most expensive match-day ticket fell slightly to an average of £56.63. In the season ticket category, both the cheapest and most expensive rose about 1% to £513.95 and £886.21 respectively. That works out at £27.05 and £46.64 a game. Premier League grounds were 95.9% full last season – a record level. Swansea were the only club out of 230 across the UK who declined to take part in the study. Of the 19 Premier League clubs studied, 55.26% of tickets were frozen in price this season, while 11.84% were reduced and 32.89% were increased in price. The average pie costs £3.35 in the top flight, up 1.82%, while a tea is £2.09, down 2.84%. A programme is £3.42, up 6.77%. From next season, a bumper new television deal, worth £5.136bn, commences in the Premier League and will bring clubs tens of millions in extra revenue. Even the club which finishes 20th will earn an estimated £100m, up more than £30m. The Price of Football, the largest study of its type in Europe, looked at costs at 230 clubs in 13 leagues across Britain. Arsenal again have the most expensive match day ticket in the Premier League at £97. The cheapest matchday ticket in the Premier League is offered by Leicester City at £22. Chelsea’s cheapest match day ticket is £52, highest-priced of the Premier League’s cheapest. Derby County, Reading and Huddersfield’s £10 match day ticket is the cheapest in the top five leagues in England - only matched by Southport in the Conference. The average price of the cheapest match-day ticket in Scottish football’s top flight now costs £20.17 on average after a 1.2% fall in price. This is less than England’s Championship and League One. In Women’s Super Leagues One and Two, match day ticket prices average £4.94. Arsenal again have the most expensive season ticket in the Premier League at £2,013. Their cheapest season ticket remains £1,014, and is still the most costly in the Premier League - £249 more than the next highest. However both Arsenal season tickets include seven matches in cup competitions. Stoke City have the cheapest season ticket in the Premier League at £294. Reading’s £135 season ticket is the cheapest in the top four divisions in England, with only Conference side Eastleigh (£120) cheaper. The most expensive season ticket in Scotland is sold by Celtic, at £559, but that fell in price by £41 this season. In the Women’s Super Leagues One and Two, Notts County have the most expensive season ticket at £60, while London Bees Ladies have the cheapest at £18. The average cost of a football shirt in the UK is £42.18 for adults. In the Premier League the average cost of the adult replica shirt is now £49.68, up 4.82% with 10 clubs putting prices up. Price of Football asked for the cost of junior shirts for the first time this year. The average price is £33.66 for children. The average top flight junior shirt is £38.42. Manchester United’s £60 adult shirt is the highest in the study, as is their £45 junior shirt. At the Old Trafford club, it costs £118 for a full adult strip, including shorts, socks and a name and number of the shirt at the club. A junior strip is £103. The 20 Premier League clubs brought out 50 strips this season, with 10 clubs putting new third strips on sale. Aberdeen’s £55 shirt is the most expensive in Scotland and the joint second highest in the UK, while their £43 junior shirt was the costliest in Scotland and third highest in the study. Kidderminster Harriers again have the most expensive pie among the clubs we covered. The National League club charges £4.50 for their award-winning pie. Championship club Brighton & Hove Albion are the next most expensive at £4.10. In the Premier League, Crystal Palace and Man City have the most expensive pie at £4. In Scotland, at £1.20, the cheapest pies are at Forfar and Queen’s Park. Conference side Braintree’s £1 pie is the cheapest in the study. Liverpool and Glasgow Rangers have the most expensive cup of tea in the study at £2.50. The cheapest can be bought at Scottish League two side Elgin City for 60p. The cheapest in England is for 80p at Braintree. Chelsea at £1 and Watford at £1.70 have the cheapest tea in the Premier League. The most expensive cup of tea in the top four divisions of Scottish football can be bought at Celtic, Dundee, Dundee United, and Inverness at £2.20. You can buy a season ticket at Bayern Munich for £104.48 and Barcelona for £73.88, less than the cheapest available in the top four leagues in both England and Scotland. Barcelona’s shirt is £89.55 – the most expensive out of the 227 teams in the study. You can buy a match day ticket for Bayern Munich (£11.19), Bayer Leverkusen (£11.19) and Borussia Dortmund (£11.94) for £34.32, less than the £36.06 cost of the average pie, tea and cheapest matchday ticket in the Premier League. PSG expensive season ticket for £2,113.46 – £100 more than Arsenal’s and the most expensive out of the 227 teams in the study. PSG offer a matchday for £186.57 -£89.57 more than Arsenal’s most expensive matchday ticket – which is the costliest in the UK.